Thursday, October 27 depart Sunday October 30. There will be a maximum of 6 photographers. 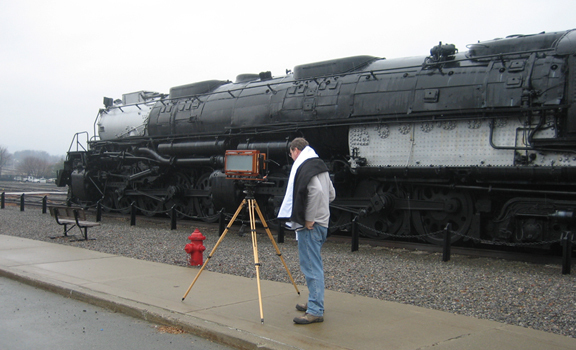 Large and Ultra-large Format Photography with Richard Ritter - $595 plus lab fee (depending on camera size). This is your chance to handle ultra -large cameras. Our staff will be processing your negatives and printing to give you more time to learn the intricacies of large format photography. The lab fee includes,all film, paper, chemicals, and the lab assistants who be in the darkroom for you. Richard Ritter, a Vermont camera craftsman is one of the world's foremost builders of large and ultra-large cameras. The workshop size is strictly limited to six so register now. Cameras sizes available at the workshop.